You know how there are certain foods that are so good you just want to keep eating them? These candied nuts are that food. Completely irresistible. 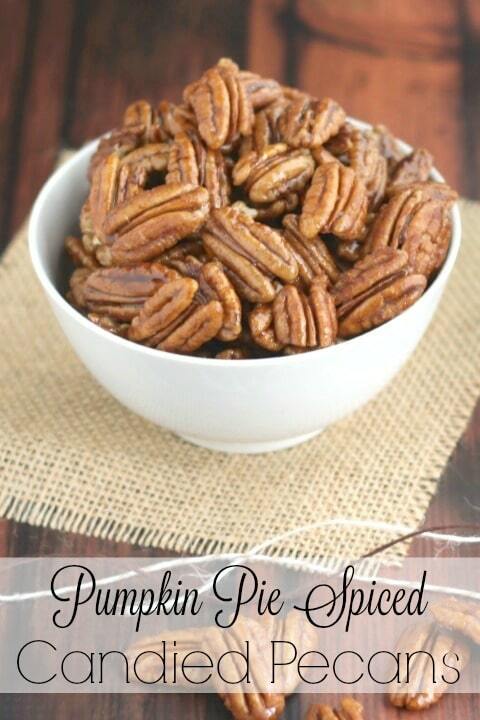 Mmmmm … pecans that are sweetly spiced with just a hint of warm cinnamon and pumpkin pie spices. Every time you walk past, you can’t help but grab a little (or a big!) nibble … you just can’t stop yourself! I speak from experience. 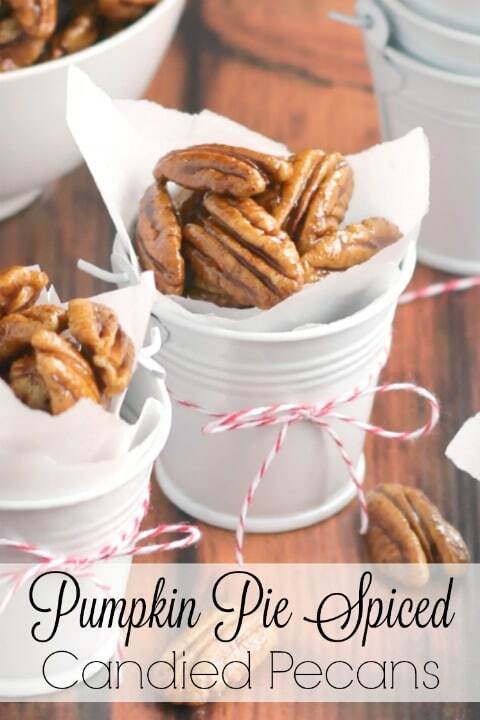 These Pumpkin Pie Spiced Candied Pecans will be your new best friend. You’ll start dreaming of them. Wishing you had some with you during that afternoon meeting. 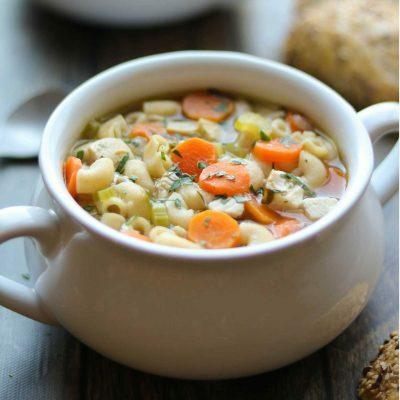 Needing some for that marathon of grocery shopping and errand running. Oh yes. These really are that snack. 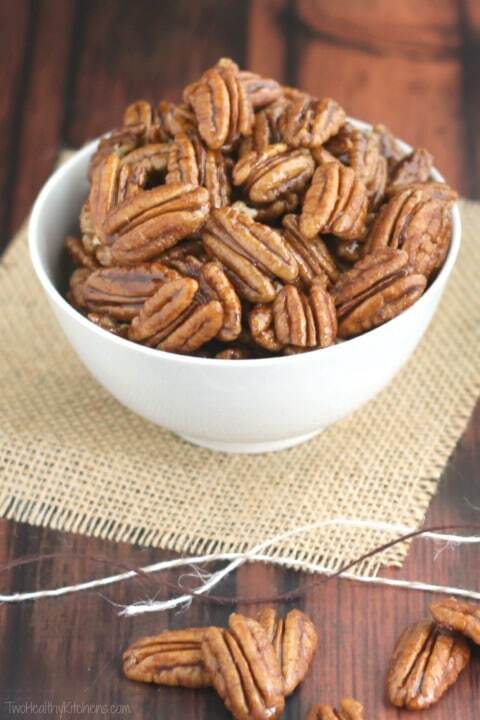 And as an added bonus … these candied pecans are healthy, too! Because these are a such a total snap to make, I’ve made a whole lotta batches of them over the past several weeks. And there is not one pecan piece left. Not one. Not anywhere. As soon as I make some, they start disappearing off the tray. And by the time I get them into a cute little dish on the counter … well, actually, I usually don’t even bother with the cute dish. I mean, really … what’s the point?? It’s just a formality. 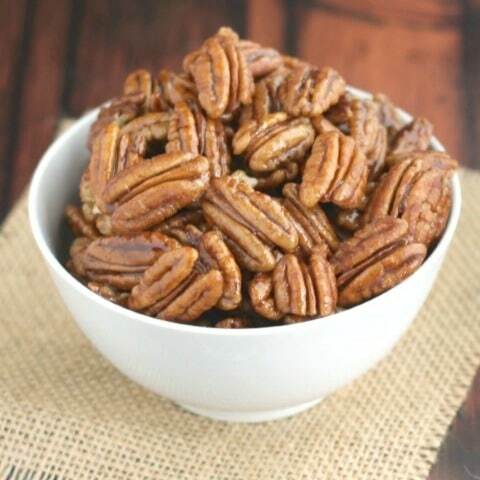 Yep … these pecans are that snack. 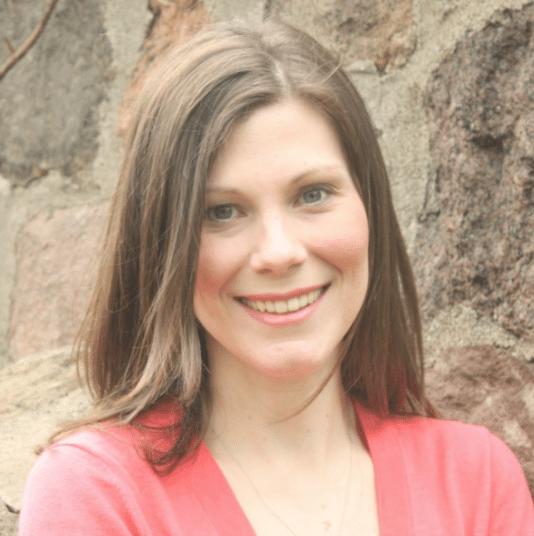 In fact, Shelley called me after I dropped off some samples for her try … she needed the recipe because she just had to make more of them. They’re just so good. Sooooo good. 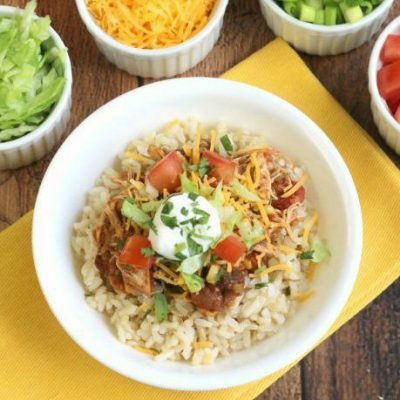 Take ’em along on Thanksgiving and set them out as a munchie before the big meal … you know we love appetizers! 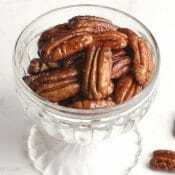 And … because Shelley and I love you all so very much, we’re swooping in to give you a holiday idea before the hustle and bustle even begins … because these candied pecans also make the best gift! Remember when I said these addictively nibble-able candied nuts only take 5 minutes? You’ve got 5 minutes to make a gift, right? 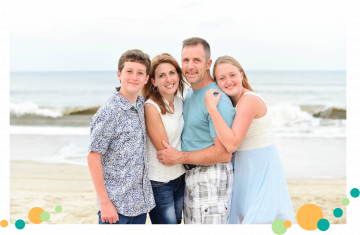 Teachers, hostesses, your hair stylist, your neighbors … totally perfect for pretty much everyone! And you’ll be doing all of those people you really care about a serious favor! 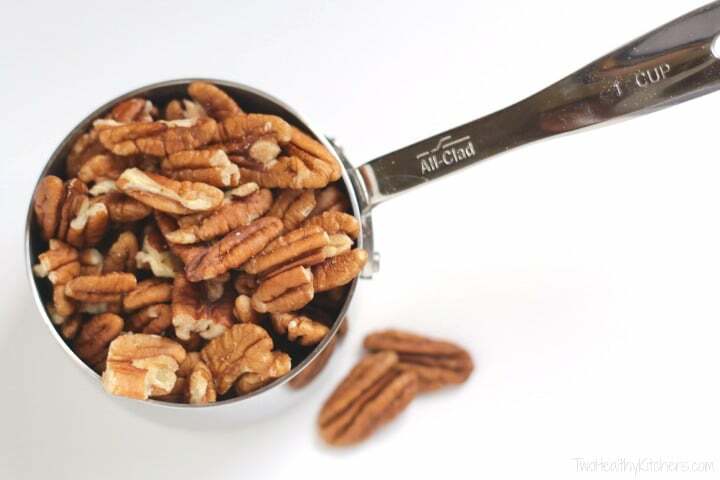 Pecans are among the most antioxidant-rich nuts, and they can also help reduce bad cholesterol! How’s that for a gift?? This recipe has been in the works for a loooong time. We’re so excited that the holiday season is almost here, and we can finally share these with you! 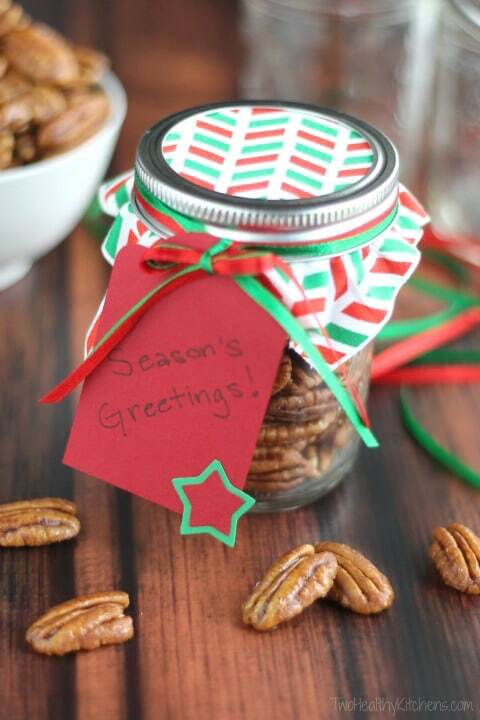 Our first recipe for candied pecans is SO incredibly popular (and also perfect for gifts! ), so we know you’ll love these, too! 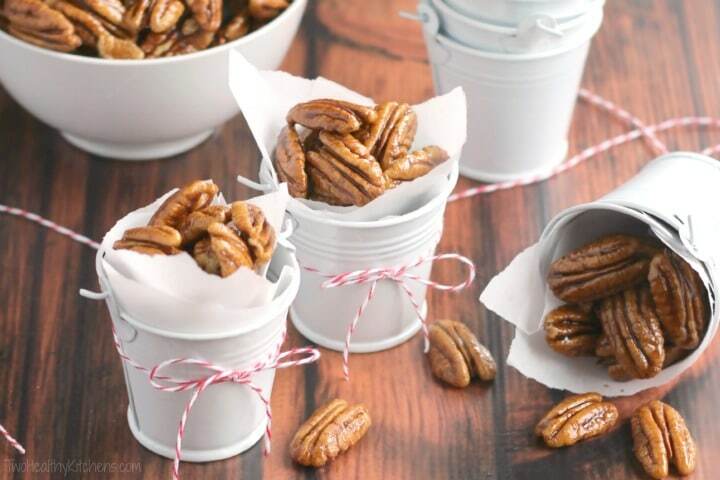 While our original candied pecan recipe calls for simply air-drying the pecans, these require just a tad more drying time. No worries! A quick trip through the oven quickly creates the perfect candied coating! Personally, I’ve always loved the oven method myself, anyway, because it’s the way my mom always made candied nuts. 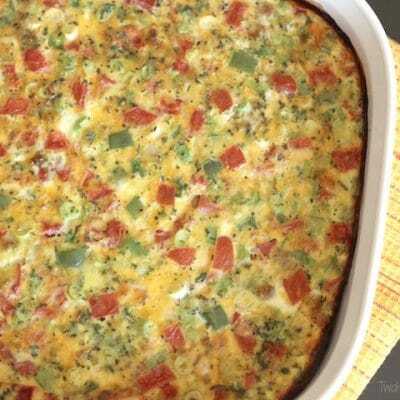 And with this recipe, they’re ready to eat just a tad sooner! (Because, trust me, you won’t be able to wait). Mmmmm ….. In a small bowl, combine brown sugar, water, pumpkin pie spice, vanilla, cinnamon, and salt, stirring to combine (don’t worry that the sugar and salt won’t be completely dissolved). 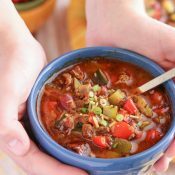 Set this at-the-ready, next to your stove, as this recipe goes really quickly. 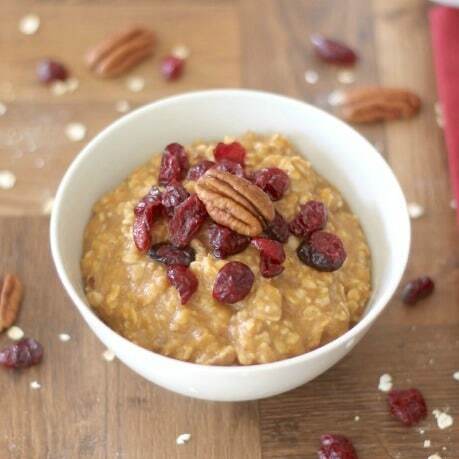 In a medium-large saucepan over medium heat, toast pecans for 2-3 minutes, stirring occasionally to prevent burning. When you begin to smell a lovely, nutty aroma, they’re done. Quickly drizzle the sugar mixture into the pan, on top of the pecans, stirring the nuts as you drizzle. Stir constantly for about 15 seconds, until the pecans are thoroughly coated in the sugar mixture. 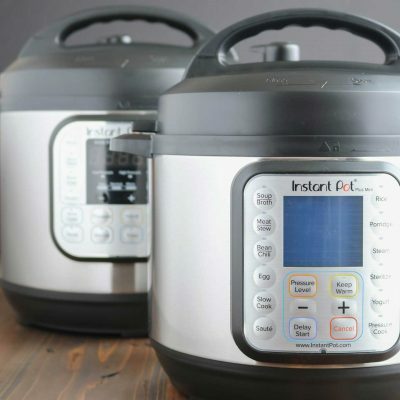 Immediately remove from heat so they don’t burn. 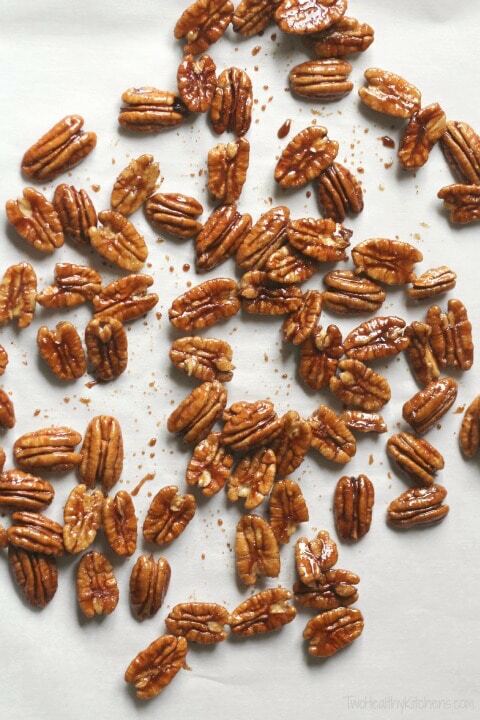 Spread the pecans on a sheet pan lined with parchment paper. Place the pan in the oven for 15 minutes. Once cooled, you can break the nuts apart, if needed. 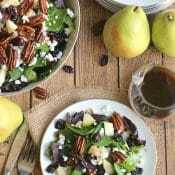 This one looks a mouthwatering pecan recipe to prepare. Thanks for the year supply of Flat Out breads! I loved being a winner and will make good use of all those delicious flat breads! 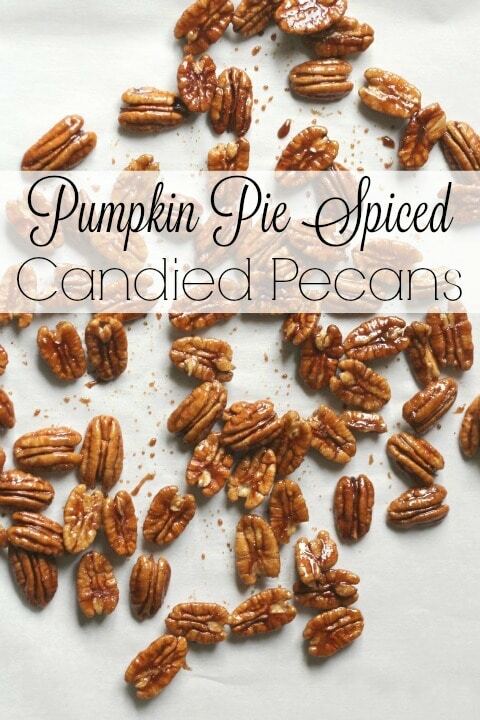 I haven’t even made these yet and I’ve already started to dream about them!